Stan Gilbert joined KBBH in 1986 bringing a demonstrated history in progressive mental health care and a passion for ending the stigma associated with mental illness and substance use disorders. Under his inspired, decisive leadership and progressive vision, KBBH grew from a child and family treatment center serving less than 50 consumers, to the largest behavioral health provider in southern Oregon, serving over 8,000 children, adolescents, and families. 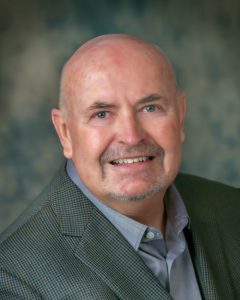 A community organizer and thought leader at a local, state, and national level, Stan sits at the forefront of social growth in Klamath County and holds a steadfast commitment to the development, delivery, and administration of behavioral health programs that empower individual change. With Stan’s guidance, passion for public service and experience in legislative advocacy, fund development, and contract negotiation, KBBH has established a community-wide system of care model that incorporates the value of outcomes-based programming. Stan is an impassioned storyteller who incites action and collaboration from likeminded experts. His professional legacy includes the chief administration of a broad continuum of behavioral health programs, and his personal passion centers on the continued growth of his successful adult children and beautiful granddaughter.